Military veterans who have suffered injuries or have medical conditions that were caused in the line of duty may be eligible to receive veterans benefits; our Cedar Lake veterans benefits attorney can help. While veterans are free to file these claims themselves, it often helps to have an attorney advocating on your behalf who understands the process and can successfully predict what kind of evidence you will need to prove your claim. The attorneys at Comerford Law Office have successfully helped numerous veterans file claims for their benefits. This includes filing a form 9 or filing a notice of disagreement. If you need help appealing or applying for veterans benefits, our attorneys can help you with each step of the process. 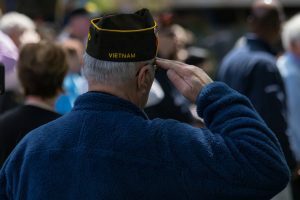 In this article, we will discuss what this process looks like and what you can expect when applying for veterans benefits. Or call in your application by phone at 800-827-1000. There are a number of non-profit and state-run veterans assistance organizations that can help you, as well. It is important to understand, however, that these folks do not offer legal advice and will be ill-equipped to help you with the appeals process. A disability attorney can help take over the entire process of applying and will improve your odds of getting veterans disability benefits. In order to make a case that you should get veterans disability benefits, you will need to show that you have a medical condition that was a direct result of your military duties. In order to do this, you will need to provide medical evidence and a doctor’s opinion that your injuries or condition is related to your service. The VBA has a vested interest in protecting a limited supply of veterans benefits but it will honor claims that are backed up by medical evidence. If you choose to do this yourself, you should be as specific as you possibly can. This includes the approximate dates of specific injuries or incidents that may have contributed to your medical condition. In addition, you will want to add the approximate date on which you began experiencing these symptoms. You do not have to provide this information when you file a claim, but the VBA will request it once your claim is filed. Veterans who have been denied claims by the VBA are able to appeal the decision. This requires the filing of a form 9 or filing a notice of disagreement. At this point, many veterans choose to hire an attorney to help them get the evidence they need to prove their claim. Comerford Law Office is proud to represent veterans interests in the State of Indiana. Contact our attorneys by phone or online and we can begin discussing what you should do next.